ASUS announced the most compact ZenBook series laptops, packing awe-inspiring aesthetics and superb performance. The latest models represent the high tech couture ASUS ZenBook laptop series that is world-renowned for its beautiful, thin-and-light minimalist designs. All the models are the world’s most compact laptops for their respective display sizes, and come dressed in either elegant Royal Blue or Icicle Silver. Crafted from the strongest aerospace-grade aluminium, the new ZenBooks are not just beautiful, but also extremely strong and durable, having passed the demanding MIL-STD-810G military standard for reliability and durability. Rigorous tests to pass the standard include environmental extremes of altitude, temperature and humidity, in addition to extensive drop, shock and vibration testing. The displays of the new ZenBooks have up to 4K UHD resolution, and with their ultra slim display frame bezels, they deliver a more immersive viewing experience with less visual distraction, making them the perfect choice for on-the-go creativity or entertainment. All models are equipped with PCIe SSDs and up to 16GB of RAM, making ZenBook ideal for creating complex documents, mining data, retouching photos, editing videos, or simply taking a gaming break. The new ZenBook series lets users do more, and do it quicker. Mobile professionals need to stay connected — at the fastest speed possible. All new ZenBook models feature gigabit-class Wi-Fi and ASUS Wi-Fi Master technology, for ultrafast downloads and smooth streaming with greater range and more stable network connections than ever before. Additionally, the latest Bluetooth 5.0 lets users access all the benefits of the latest low-power peripherals and accessories. 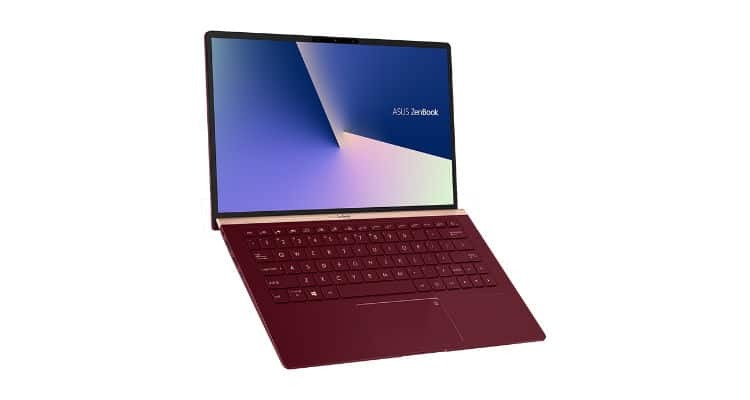 The new ZenBook series features a wide array of connections including the revolutionary USB Type-C port for any-way-up connections and superfast USB 3.1 Gen 2 (up to 10Gbps) data transfers, and there’s also a range of other USB ports, including USB Type-A (up to 5Gbps or 10Gbps) and/or USB 2.0. All models also include a full-sized HDMI port and a microSD or SD card reader, so it’s easy to connect to all your current and future peripherals.